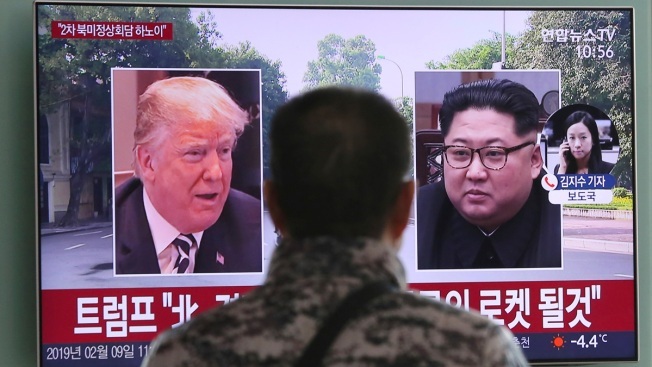 A man watches a TV screen showing images of U.S. President Donald Trump, left, and North Korean leader Kim Jong Un during a news program at the Seoul Railway Station in Seoul, South Korea, Saturday, Feb. 9, 2019. 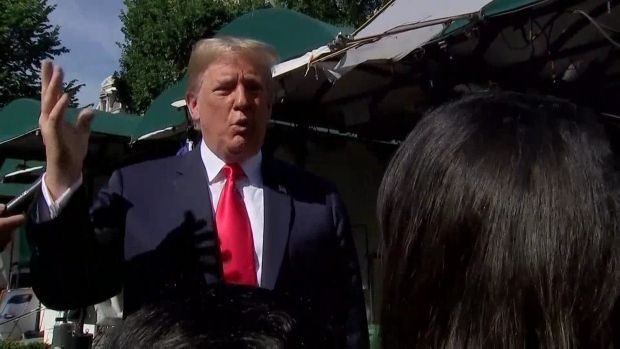 Trump said Friday that he will hold his second summit with Kim in Hanoi and predicted that the authoritarian country would someday become "a great Economic Powerhouse" under Kim's leadership. Korean letters on the screen read: "North Korea will become a different kind of rocket - an economic one!" 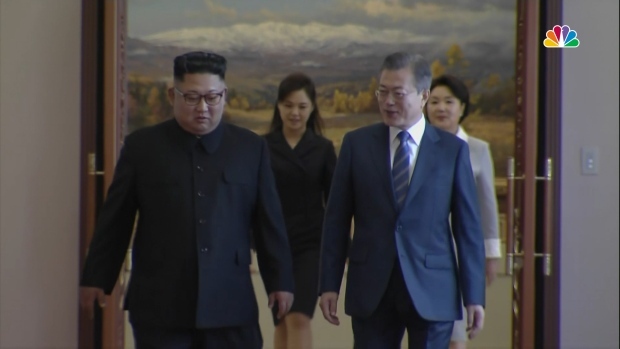 As President Donald Trump prepares to meet North Korea's Kim Jong Un for a second time, he's out to replicate the suspenseful buildup, make-or-break stakes and far-flung rendezvous of their first encounter. The reality star American president will soon learn if the sequel, on this matter and many others, can compete with the original.